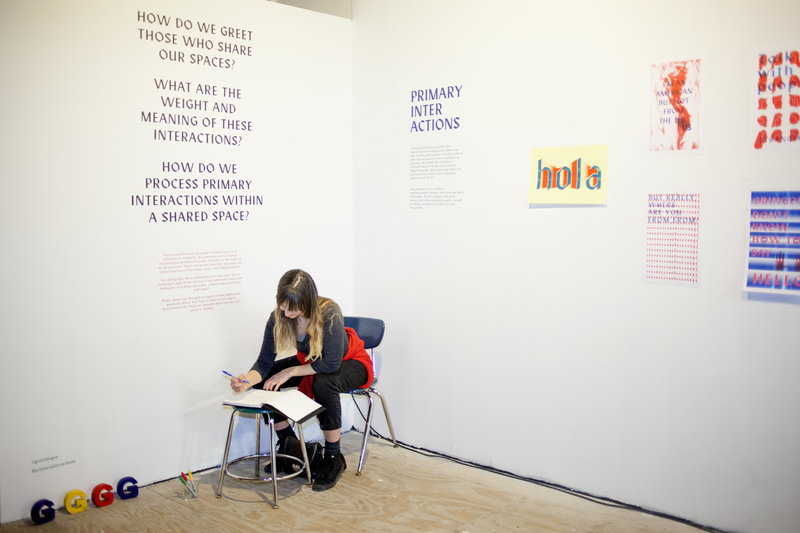 Artist Gonzalo Guerrero’s interactive exhibition Primary Interactions illustrates first experiences as an immigrant in New York, and resulting observations of social, political, an cultural polarities tied to identity and privilege. The exhibit also includes a statement written by the artist's friend, Augustin Faundez, who generously shares his personal story related to the immigrant experience in the U.S. Gonzalo Guerrero is a Chilean multidisciplinary designer and musician baed in Brooklyn. He does graphic/industrial design, illustration, and photography, as well as design consultation for the arts and non-profits. Primary Interactions is on view at Clocktower's "Cove" exhibition space, located on the third floor of the Pioneer Works building. Primary Interactions on view at Pioneer Works. Photo by Allyson Lupovich.